We had snow! The girls were very excited and they couldn’t wait to go out in it. There is something so magical about snow when your a child. You can’t help but get caught up in their excitement. They love riding on the sledge together, I’m not sure how much longer they will both fit on. I love how happy it makes them! 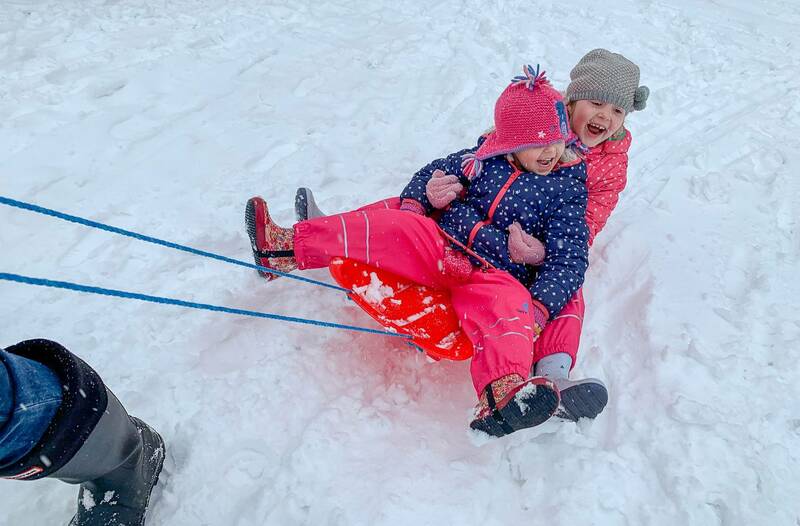 Oh so lovely to see your little ones enjoying the snow, I wish that we had more of it but sadly we only got a dusting. Omg, they look adorable! I remember I loved snow as a child too; so not surprised! Their faces are so happy – you can really tell how much joy they are getting out of it!